Alaskan Command (ALCOM) - ALCOM is headquartered at Joint Base Elmendorf-Richardson, Alaska, and falls under U.S. Northern Command as a subordinate unified command. DoD forces in Alaska include more than 22,000 U.S. Air Force, U.S. Army, U.S. Navy and U.S. Marine Corps personnel, and 4,700 Guardsmen and Reservists. Ammunition Depot Indian Island, Port Hadlock, Washington - Provides ordnance-related support including receipt, storage, issuance, and inspection, reporting to the Navy Region Northwest commander. Andrews Air Force Base, Maryland - Home of Air Force One and the 89th Air Wing. The 89th Airlift Wing is the host wing to more than 60 separate organizations at Andrews, including units from the Army, Navy, Marine Corps, Air Force Reserve and Air National Guard. Arlington National Cemetary - Official site of Arlington National Cemetery, Arlington, Va., shrine to military service and sacrifice overseen by U.S. Army Military District of Washington. History, customs, attractions, eligibility, policies and procedures. Also, provides Nationwide Gravesite Locator. Armed Forces Recreation Center Resort in Europe - Vacation programs for service members and their families on R&R leave, including Garmisch and Edelwiess Lodge and Resort. Armed Forces Retirement Home (AFRH) - In 1991 Congress incorporated the U.S. Naval Home (opened in 1834) and U. S. Soldiers' and Airmen's Home (founded in 1851) into an independent establishment of the Executive Branch of the Federal Government named the Armed Forces Retirement Home (AFRH) Agency. In 2002, the names of the two homes were officially changed to The Armed Forces Retirement Home - Gulfport and The Armed Forces Retirement Home - Washington. Both Homes are model retirement centers, where residents can maintain an independent lifestyle in an environment designed for safety, comfort and personal enrichment. Barksdale Air Force Base - Home to the 2d Bomb Wing and the 8th Air Force, Barksdale is situated on over 22,000 acres of land in the NW corner of Louisiana. Campaign for the Accountability of American Bases (CAAB) - Campaign in opposing weapons of mass destruction in general and nuclear weapons in particular - specifically the proposed American Missile Defense/Theater Missile Defense (AMD/TMD) systems. 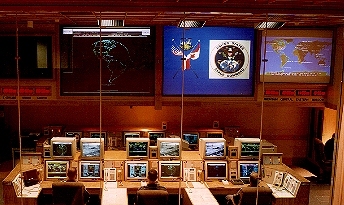 Focuses on raising public awareness, scrutiny and accountability of American bases in the UK, including: NSA Menwith Hill Station, USAF Mildenhall, USAF Lakenheath, USAF Alconbury, USAF Feltwell, JAC Molesworth, the US Deep and Near Space Tracking Facility at Feltwell, USAF Fairford, NSA Croughton, Fylingdales, Digby, Morwhenstow and many more. Cheyenne Mountain Complex - Overview provided by the Federation of American Scientists. The Cheyenne Mountain Complex (CMC) outside Colorado Springs, CO is the main correlation center of the Integrated Tactical Warning and Attack Assessment (ITW/AA) system. Cheyenne Mountain is the command, control, communication and intelligence center for coordinating and controlling North American Aerospace Defense Command (NORAD) and United States Space Command (USSPACECOM) missions. Cheyanne Mountain Complex - Overview provided by Lockheed Martin. The Cheyenne Mountain Complex (CMC) is the mission hub for both the North American Aerospace Defense Command (NORAD), a combined U.S./Canada military command, and the United States Space Command (USSPACECOM), a joint U.S. military command. Lockheed Martin provides support for the three primary CMC missions: missile warning; air defense; and space surveillance. Creech Air Force Base - Located in Indian Springs Nevada, Creech AFB is home to the 432d Wing and 432d Air Expeditionary Wing "Hunters" under Air Combat Command's 12th Air Force. The 432d also reports to U.S. Air Forces Central. The 432d Wing and 432d AEW consists of combat-ready Airmen who fly the MQ-1 Predator and MQ-9 Reaper aircraft to support American and Coalition warfighters. The unmanned aircraft systems provide real-time reconnaissance, surveillance, and precision attack against fixed and time-critical targets. Guantanamo Bay, U.S. Navy Base - Provides regional security and protection from drug trafficking and terrorism, and protection for those who attempt to make their way to through regional seas in un-seaworthy craft. The base protects the ability of U.S. Navy and Coast Guard ships to operate in the Caribbean with supplies and support for their commitments. Hosts the Detainee Mission of the War on Terrorism that followed the September 11, 2001 terrorist attacks. Located on the southeast corner of Cuba, in the Oriente Province, the base is about 400 air miles from Miami, Florida. Joint Base Lewis-McChord - Fort Lewis, part of Forces Command, is the home of I Corps. It is one of 15 U.S. power projection platforms. The Corps' primary focus is Pacific Rim. A training and mobilization center for all services and the only Army power-projection base west of the Rocky Mountains. Its geographic location provides rapid access to the deep water ports of Tacoma, Olympia and Seattle for deploying equipment. Kirtland Air Force Base - Kirtland AFB is located in the southeast quadrant of Albuquerque, N.M. The base is the third largest installation in Air Force Materiel Command, covering 51,558 acres and employing over 23,000 people, including more than 4,200 active duty and 1,000 Guard, plus 3,200 part-time Reserve personnel. Military Bases - Browse by state to see the different military bases in the United States and overseas. Learn more about each base. Military Installations - Provides official U.S. Department of Defense location based services information on over 250 military installations and communities worldwide, including installation overviews and directories of programs and services available for servicemembers and their families. Marine Corps Base Quantico - Official web site of Marine Corps Base Quantico and the Quantico Sentry, Virginia, USA. Patrick Air Force Base - United States Air Force base located at the south end of Cape Canaveral. Home to the 45th Space Wing of the Air Force Space Command. Patrick AFB operates the Cape Canaveral Air Force Station from which many military and non-military launches take place. Ramstein Air Base - A United States Air Force base in Rhineland-Palatinate, a state in south-western Germany. It serves as headquarters for the United States Air Forces in Europe - Air Forces Africa (USAFE-AFAFRICA). It is also a North Atlantic Treaty Organization installation. Nearly ignored by U.S. media, Ramstein is the overseas hub for America's 'war on terror.' It's the most important Air Force base abroad, operating as a kind of grand central station for airborne war—whether relaying video images of drone targets in Afghanistan to remote pilots with trigger fingers in Nevada, or airlifting special-ops units on missions to Africa, or transporting munitions for airstrikes in Syria and Iraq. Soaking up billions of taxpayer dollars, Ramstein has scarcely lacked for anything from the home country, other than scrutiny. See Norman Solomon's article in The Nation, 7 Jul 2016. Royal Australiann Air Force - Bases throughout Australia. Taszar Air Base - Located in the south-central region of Hungary. A staging ground for U.S. Air Force and Army units. U.S. Africa Command (AFRICOM) - One of nine Unified Combatant Commands of the U.S. Department of Defense (DoD). As one of six that are regionally focused, it is devoted solely to Africa. U.S. AFRICOM is responsible to the Secretary of Defense for U.S. military relations with 54 African countries. U.S. Army Base Realignment and Closure Web Site - Base realignment and closure information provided by the Office, Assistant Chief of Staff for Installation Management (ACSIM) and Chief, Base Realignment and Closure (BRAC) Office. U.S. Army Combined Arms Center and Fort Leavenworth Public Home Page - Fort Leavenworth, Kansas is the oldest continuously operating military installation west of the Mississippi River. Provides Army-wide leadership and supervision for leader development and professional military and civilian education; institutional and collective training; functional training; training support; battle command; doctrine; lessons learned; and other specified areas that the TRADOC Commander designates. U.S. Military Bases - With this site you can easily browse by state and see the different military bases in the United States and overseas. The United States Military has five branches: the Air Force, Army, Coast Guard, Navy, and Marine Corps. Each of those branches use military bases to house and train the members of their respective service. The US is deployed in over 135 countries worldwide so military bases serve as an essential part of conducting operations, but many of these deployments number less than 100 personnel in country. U.S. Military Footprint - Josh Begley's satellite imagery database visualizing the location of United States military installations worldwide. The data comes primarily from the 2013 Base Structure Report, with a couple of lesser-known sites unearthed by journalists and geographers mixed in as well. U.S. Navy Support Facility, Diego Garcia - U.S. Navy operational command, British Indian Ocean Territory (B.I.O.T.). Vandenberg Air Force Base - Located on the Central Coast of California about 150 miles northwest of Los Angeles. It is operated by the 30th Space Wing, and is the only military installation in the United States from which unmanned government and commercial satellites are launched into polar orbit and from which intercontinental ballistic missiles (ICBMs) are launched toward the Kwajalein Atoll to verify weapon systems performance. Overview from FAS. This webpage last updated on Sunday, July 9, 2017 8:13 PM.